It's your money and we've discovered it's being used to carry out a nationwide, multi-million dollar medical scam. 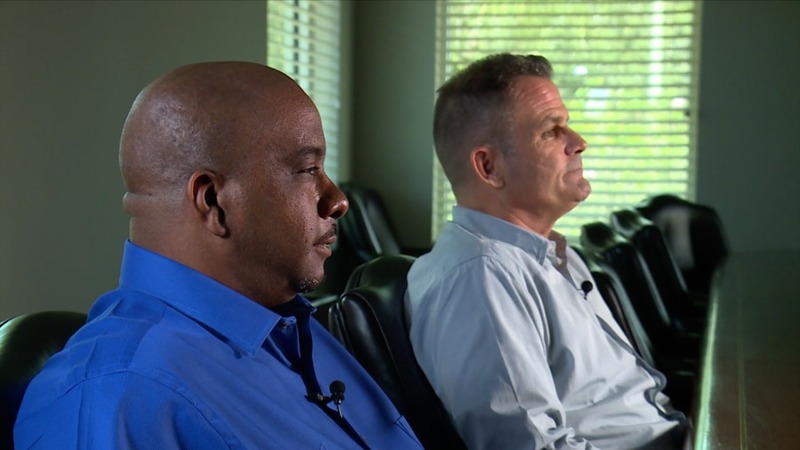 Investigative Reporter Katie LaGrone gets the exclusive interview with two former insiders now revealing the little known secrets behind medical device fraud. TAMPA, Fla. — Terry Combs is 63 years old but feels more like 85, he told us recently from his Bradenton, Florida home. "I can't do nearly nothing. When I walk I lose my breath," he said with his oxygen tank nearby. Combs suffers from chronic obstructive pulmonary disease (COPD), a progressive lung disease from decades of smoking. He also deals with heart trouble, had quadruple bypass surgery and lives with diabetes. So perhaps it's no surprise that a few years ago a medical supply company started calling and calling some more. "Two to three times a day, I mean they wouldn't leave me alone," he said. The company was trying to pitch him diabetes supplies he didn't want or need since he gets supplies from his doctor. Despite telling the company no, he says the company kept calling. "I just started yelling at them," he told us. Shantell Williams of Tampa got the calls too. "Harassing, harassing, harassing," she described the calls. "I told them why do you keep calling me? I told them the same thing I told the first person, I don't want your supplies," she explained. It's happening around the country: medical supply companies that call Medicare patients to pitch unwanted medical devices, ship those supplies to them and get the government to pay the bill. 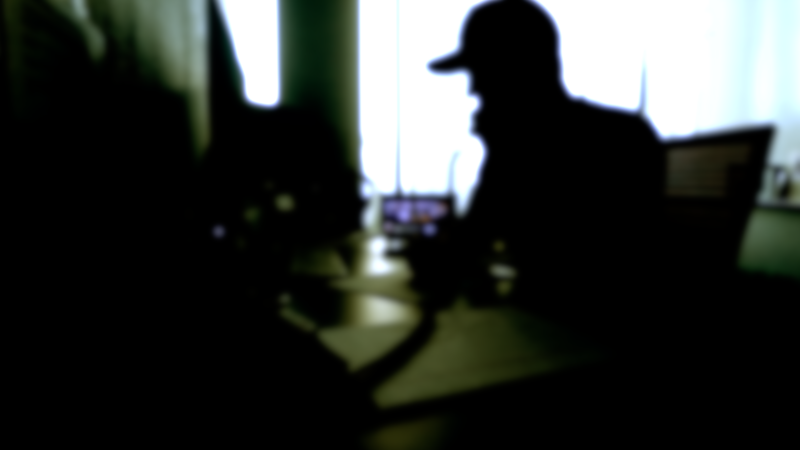 "It was easy," explained Daniel Yarbrough, a former insider. Yarbrough spent three years as a sales manager for Am-Med Diabetic Supplies Inc. in Delray Beach. "I knew what we were doing on a lot of levels was wrong," he said. Cody Fletcher, a former assistant manager for the company at its St. Lucie County office, says he also knew what they were doing was wrong. Cody Fletcher and Daniel Yarbrough describe how they falsified patient records for a former employer their now suing. "We used to have a joke in the office, calling people robocop because we sold them so many products," he said. "We would send them diabetic supplies, stabilizers, then they'd get ankle bracelets, knee braces, back support, neck support, wrist supports, walkers," Fletcher explained. When asked how many supplies patients actually agreed to, he said one. In other cases it was none. 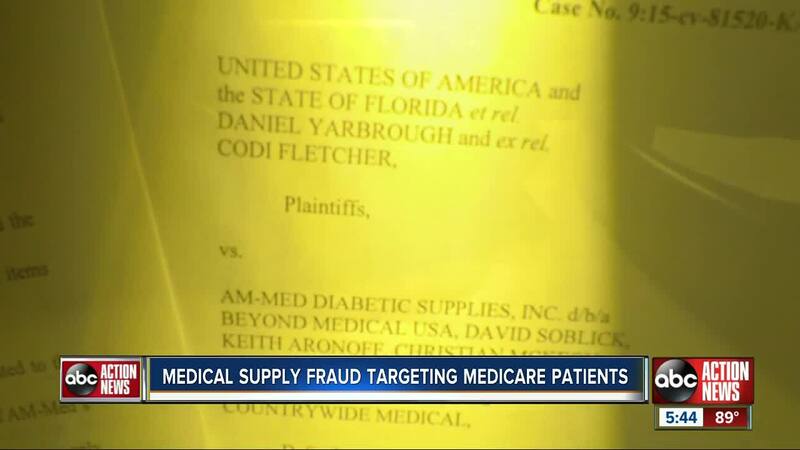 Both former employees are now suing Am-Med Diabetic Supplies Inc. as part of a federal Whistleblowers' lawsuit. 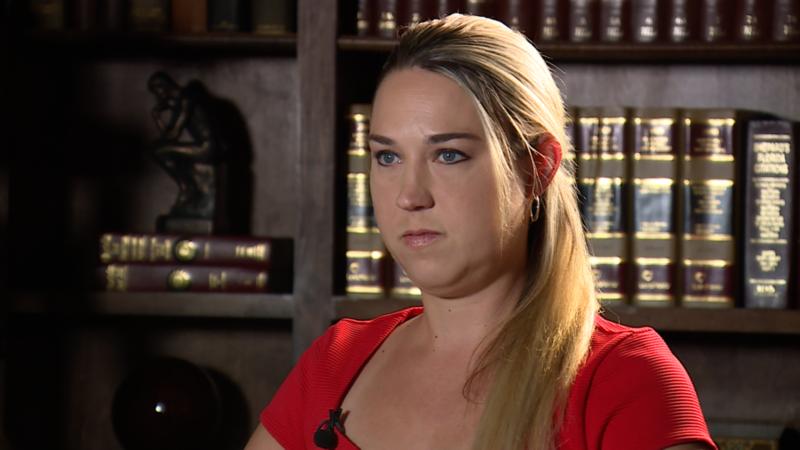 The former employees, represented by Jesse Hoyer of the James Hoyer law firm in Tampa, allege the company and its owners knowingly defrauded the government by falsifying patient orders for unnecessary medical supplies and billing the government millions of dollars for it. "We would pay anywhere from $45 to $55 per back brace. Medicare's reimbursement was $950 to $1,000," Yarbrough told us. He also explained that offering patients diabetic supplies was just the "in" to sending them more profitable medical devices. The goal was to send each patient they spoke with "three to five devices, minimum." Braces, he said was the most lucrative product they billed Medicare for. While an attorney for Am-Med Diabetic Supplies Inc. told us they don't discuss clients' ongoing litigation, in a recent motion to dismiss the 2015 case, company attorneys called out the Whistleblowers for failing to show proof of "even a single record of false claim submitted to the government." In 2015, the company shut down after the government stopped paying when other states complained about harassing phone calls. Complaints filed with Florida's Attorney General's office came from consumers nationwide and beyond the grave. "Do you know how many people we called that were dead?" asked Yarbourgh. "You were sending products to people who weren't even alive?" reporter Katie LaGrone responded. "Yes, it was easy," he said. What Yarbrough and Fletcher are now alleging was likely made easier since few doctors question medical device orders before signing off on them. Those forms must be signed by a doctor before Medicare will cover the costs of the device. Dr. Joel Silverfield, a Hillsborough County Internist and member of the Hillsborough County Medical Association, is not affiliated with the lawsuit in any way but reveals how doctors can unknowingly perpetuate medical device fraud. "Often doctors, and I'm guilty of it myself, do what's called 'zombie signing.' You've got a whole bunch of records [to sign] What can the harm be?" he said. Dr. Silverfiled says medical device fraud has become so rampant at his office, he and his group have recently stopped signing order forms for medical supplies unless the patient is in the room with him and they can discuss the order in person. "These companies are gaming the system because they know if they send out enough of these [forms] to doctors many of them will come back signed," he said. 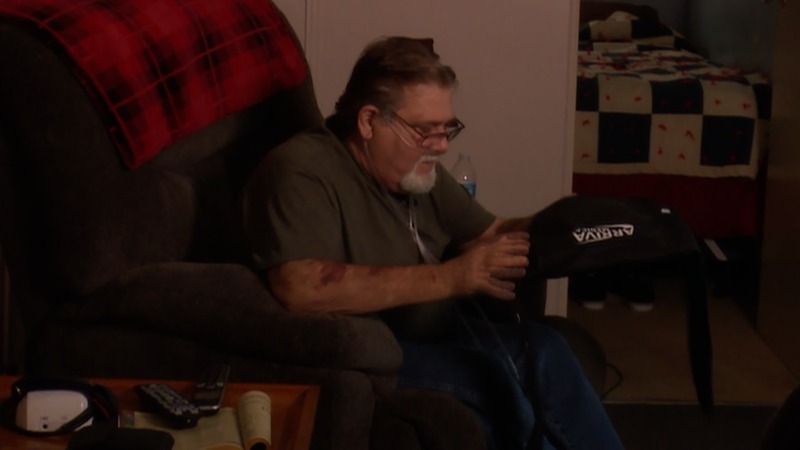 Terry Combs eventually received pain cream and a back brace from Am-Med. Both, he says, he never wanted or needed but in the end, we all paid for. "I told you not to send this to me. They said well at least you've got one in case you need it down the road." Since 2012, the government has open 102 cases involving durable medical equipment (DME) fraud. Across the U.S. 822 cases have been opened. Since 2012, 63 DME fraud cases have resulted in criminal actions in Florida, 361 across the country. Since 2012, the U.S. government has recovered more than $58 million dollars from DME cases in Florida and more than $611 million dollars from DME cases nationwide. VIDEO TIPS: Getting harassing calls about medical supplies?